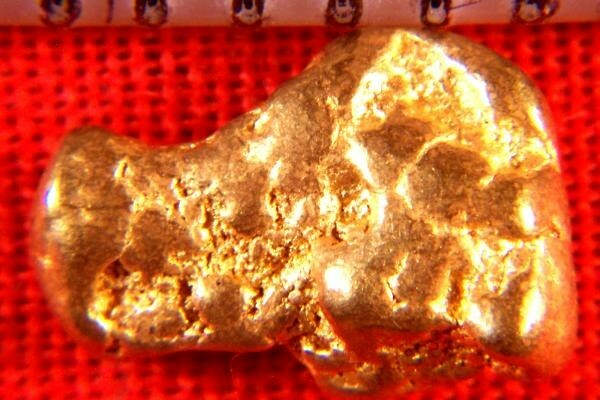 This is a very rare and unique gold nugget from the Gold Country in Northern California. It is shaped like a dogs head , to me, specifically a lab. It is amazing to see natural gold nuggets in such distinct shapes, especially to find them for sale. 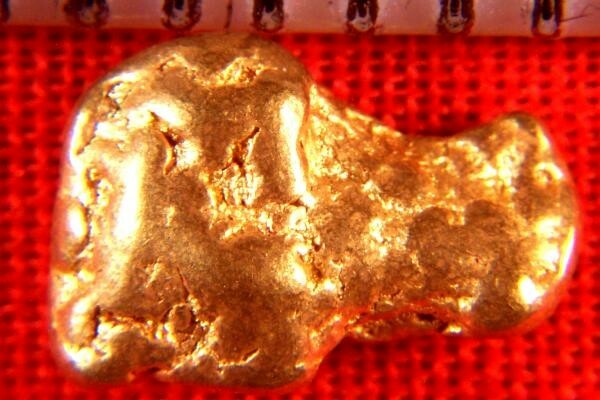 This rare gold nugget is 5/16" (9 mm) long and weighs in at 18.6 Grains (1.20 Grams).